Our dental practice in Albuquerque, NM strives to offer a full spectrum of the absolute best cosmetic, restorative, and general dentistry treatment options available. Dr. Byron W. Wall, DDS, and his team use advanced tools, such as dental lasers, air abrasion tools, and the CEREC® system, which allows us to craft customized restorations while you wait. We are also committed to furthering our knowledge through continuing education classes covering a variety of dental topics. Thanks to our expertise, we can provide many specialized treatments, including neuromuscular dentistry. Contact Cosmetic Dentistry of New Mexico to find out how we can enhance your oral health. Dr. Wall has more than 30 years of experience and training. He received his Bachelor of Science from the University of Iowa in 1978. He earned his DDS from the same school in 1982. In addition, he routinely takes classes at the Las Vegas Institute, one of the world’s most renowned sources for continuing dental education. Dr. Wall is the former president of the Albuquerque District Dental Society. He currently serves as a team dentist at the University of New Mexico, and he is a proud member of the New Mexico Dental Association, along with several other associations. Dr. Wall offers compassionate, personalized care to his patients, taking into account their needs, aesthetic goals, budgets, lifestyles, and personal preferences. He takes great pride in truly listening to his patients and creating treatment plans as unique as their smiles. Cosmetic Dentistry of New Mexico, featuring the talent and experience of Dr. Byron Wall and his team, improves patients' smiles and oral health using a range of personalized cosmetic and restorative dentistry treatments. Dental lasers: Soft tissue lasers can eradicate the bacteria that cause gum disease. They can also remove tiny amounts of gum tissue to give you a smoother, more proportionate gum line. In addition, we use lasers to enhance the effects of our teeth whitening treatment. The high-power energy will accelerate the bleaching properties in the whitening gel for more dramatic results. Air abrasion instruments: With air abrasion instruments, Dr. Wall can eliminate the noises and vibrations often associated with dental care. These tools use a stream of air and tiny particles of sand to remove damaged tooth material. Dr. Wall will typically use air abrasion instruments in preparation for crowns, fillings, and other restorations. Digital x-rays: X-rays are a standard component of dental care. However, digital images are sharper than film. We can also expand the images on a computer screen for more accurate diagnoses. CEREC® Imaging: Our CEREC® system will utilize digital impressions of your teeth to create same-day crowns and onlays. Your restorations will have a remarkably natural color and sparkle. Dr. Wall is known for his skill in neuromuscular dentistry. He understands the complex relationship between your bite, jaw joints, and facial muscles. Our Myomonitor will treat tense facial muscles with low frequency electrical impulses. After the muscles are relaxed, Dr. Wall can reposition your jaw with a custom-made oral appliance. He also offers individually made mouthguards for sports, bruxism (chronic teeth grinding), and sleep apnea. Along with neuromuscular dentistry, we are highly regarded for our restorative and cosmetic care. With an eye for both function and beauty, we provide crowns, bridges, onlays, tooth-colored fillings, whitening, and more. Of course, we also offer effective preventive care. These treatments include exams, cleanings, and periodontal treatment. 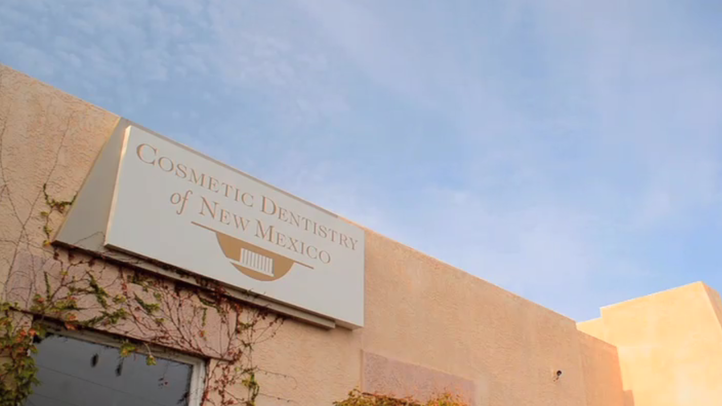 To learn more about our practice or to schedule an appointment, contact Cosmetic Dentistry of New Mexico today.